Dragons are beings of light and bring powerful healing. 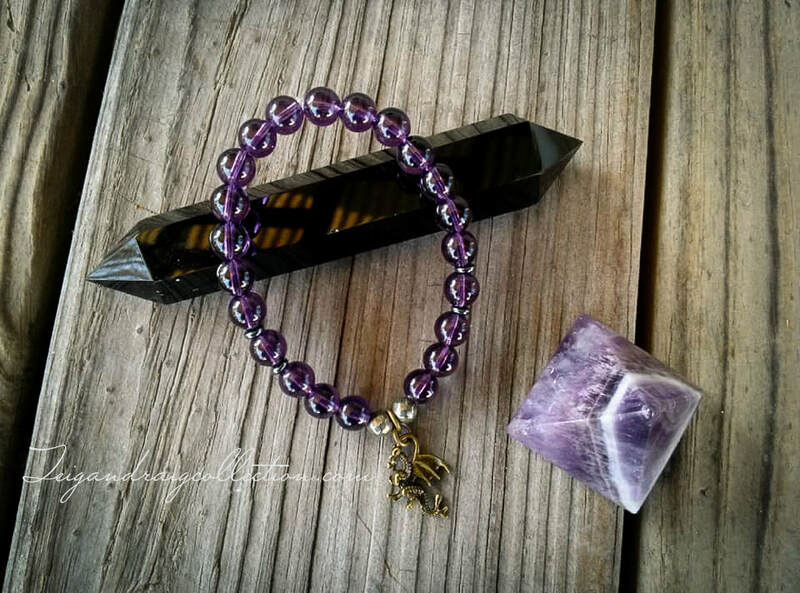 This beautiful grade A amethyst bracelet was designed to encourage healing of the spirit, body, and mind by calling upon draconic healing energies. 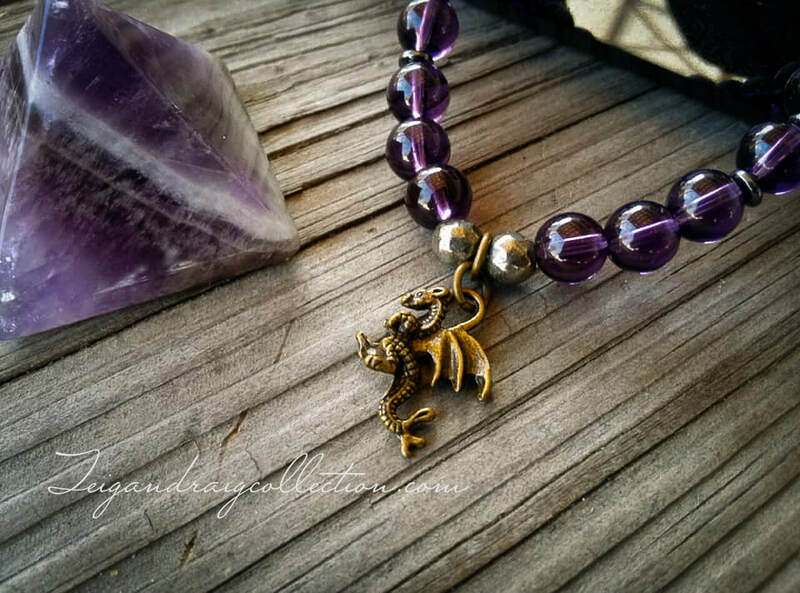 Amethyst is associated with the Crown Chakra and is a master healing stone that is highly favored by the Dragon. Pyrite markers call upon the Dragon as a guardian of treasure to encourage prosperity and abundance. 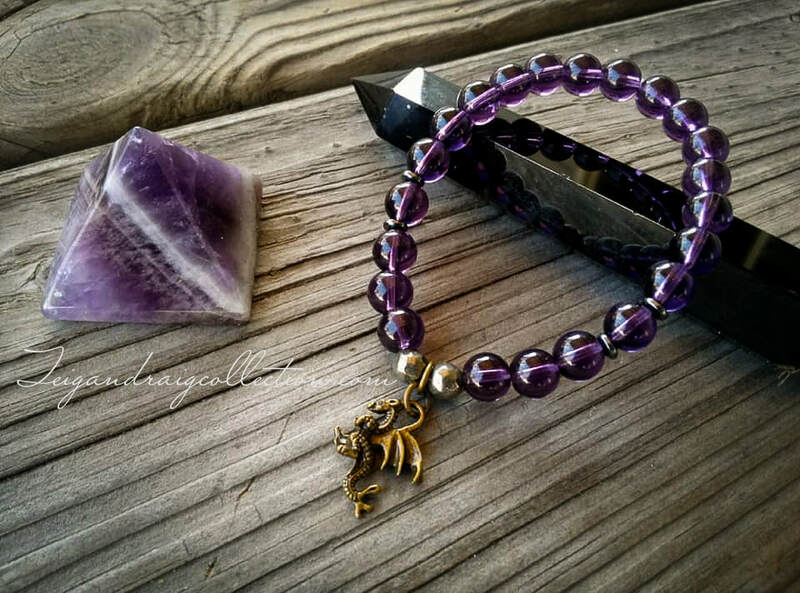 This bracelet is a wonderful tool to use in healing rituals and draconic workings, and when used in meditation can help open the Crown Chakra to aid in a deeper connection with the Dragon's powerful healing energies. 7 inches long on a stretch cord.